Over the last year, ICOs have ramped up to absurd proportions. While they appear to not be going away, I believe there will be triggers in the near future that will push them out. There are good reasons to believe that the ICO we think of today won’t be around for much longer. Years ago, when I started seeing ICOs come around for the first time, they were raising over a million dollars. Even at that time, I was shocked. I couldn’t understand how thousands of people would come together to throw their money at a project that was probably going to fail. Not only did they often not have products, many times they didn’t even have a team. Well, nothing prepared us for these latest batches of ICOs. Ones that are raising over a billion dollars. Now, I don’t know about you, but I’m still confused. Which people think this is a great deal? This is not a reasonable valuation for something that doesn’t even exist yet. I think people will begin to notice too. People will realize ICOs have been overcharging. They will see that they could have gotten a better deal just by buying the coin as soon as it went on an exchange. They could have gotten a better deal by actually doing research instead of throwing money at the largest marketing team. They could have gotten a better deal by finding the diamonds in the rough. Cryptocurrency scams are common. What’s even more common is lying during the ICO process. Lying about team members, making false claims about development or prototypes, and exaggerating expectations. Investors will realize the incredible risk is not worth it. The risk of people running off with the money; the risk of losing everything; the risk of teams not delivering on their promises. All of these things will compound, resulting in poor returns. Now, you might be confused, because after all, there were so many successful ICOs recently. That’s what we tell ourselves when we invest at least, but we are incredibly wrong. 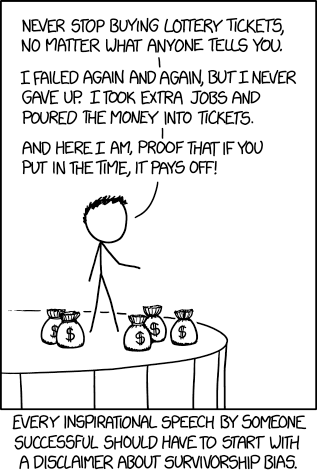 We are blinded by the survivorship bias. At this time, there are between 10–20 new ICOs being launched every day. You heard that right, every day. So, while there are a handful of successful ICOs. That’s just a few. For every successful ICO that results in positive returns for investors, there are hundreds of utter failures. This equates to less than a 1% success rate, which we can all agree is terrible. Not to mention, there is no place for all of these coins to be listed. The top exchanges only add single digit coins each month. When over 500 ICOs take place each month, that means well below 1% of coins will be listed on a reputable exchange. These performance issues will pull investors into later stages of the investment cycle. Investors will prefer to wait until they see traction before funding. This mindset will help mature the market. Investors will begin to look for more concrete indicators that the funds will be put to good use. Teams will be forced to begin development earlier and demonstrate an ability to execute on their vision. Fear is one of the strongest human emotions. Its power halts progress, freezing the will to challenge the unknown. For many people interested in ICOs, this fear will originate from regulation. The regulation smackdown will probably happen in 2018. I expect it won’t be pleasant for some of the more scammy of the ICOs. There will likely be several projects that are given a light slap. Then, I expect there will be those that are simply executed. Making a public example of these companies. This will crush the interest for many potential ICO creators from even considering the option after these public displays. Regulations will begin taking the scammers down, scaring off many of the more legitimate ICOs. In addition to the smackdown, there will be concrete regulations put in place to guide how ICOs must take place. While necessary for the continued growth of the market, this increase in regulation will deter a significant number of ICOs who simply don’t have the funds or resources to overcome the legal barriers. So, if regulations don’t scare people away, the number of hurdles may become increasingly difficult to overcome. Many ICOs burn through capital at an astonishing rate. We have seen companies that are spending well over $100 to acquire a single investment. Just thinking about that might blow your mind. Some ICOs are spending OVER $100 on marketing and advertising for every person that participates in their ICO. If they had 10,000 investors in the ICO, they would have spent $1,000,000+ in advertising to get those investors. The worst part is this is all within a few months span of time during the ICO. Once they have raised their funds, that doesn’t end the spending spree. Most ICOs boast massive rosters of executives, advisers, and costly engineers. Today, even small ICOs claim to have as many as 20 people associated with the company. None of these people are working for free, which means they are shilling out money to keep the team together. After spending all of this money, you would think the team would be in the clear. They have a team. They are creating a product. Everything seems to be going well. Yet, people fail to remember that an ICO creates a very specific number of coins. This raises a very specific amount of capital. As the team continues developing the product, funding slowly dries up. There are no additional rounds of investment, like traditional investment rounds, nor do they have other revenue streams. Unless they branch out quickly, they are destined to burn through cash at a steady rate. That is until they run out. At which point, developers leave, the community loses interest, there is no marketing or support, and the coin slowly lowers itself into its grave. I expect many of these ICOs that were completed several years ago will begin running out of money. It won’t be seen as a negative at first. People will simply brush it off saying these were the exceptions who didn’t manage their funds well, or were poor teams… Or any other excuse. The truth of the matter would be more simple. Most cryptocurrencies will die the death of finite capital supply. Development ends when funding runs out. Investors will then realize that ICOs are not a practical business model without producing positive cash flow. SEC will prevent the average Joe from investing. This means only institutional investors will invest. Since these investors will be more risk adverse, it may cause issues for teams that can’t validate their proposals. Institutional investors typically have much stricter criteria for investing than the average person. This will eliminate potentially promising projects since they don’t fit into these rigid guidelines. Then, the worst case would be when these large institutional investors lose big early on with a few poor investment decisions. This will scare off these investors, leaving only smaller investors in the market which wouldn’t be able to cover investments for the rising number of projects. Lastly, investors will realize they own the coin, but they own no value in the company creating the coin. That means if the company goes off and creates another product, they will have no ownership in that project. This also means in the long run, the majority of the value held by the company may not be in the coin or token, but other projects that generate revenue. This will frustrate investors. Once a coin is no longer generating value for the company, there is no reason to continue allocating significant time and effort into it’s development. At this point, companies will run off and begin building other projects that may be completely irrelevant to the purpose of their coin or token. Everyone and their grandmother is running an ICO. Each of these ICOs is blasting the web with their insufferable marketing campaign. 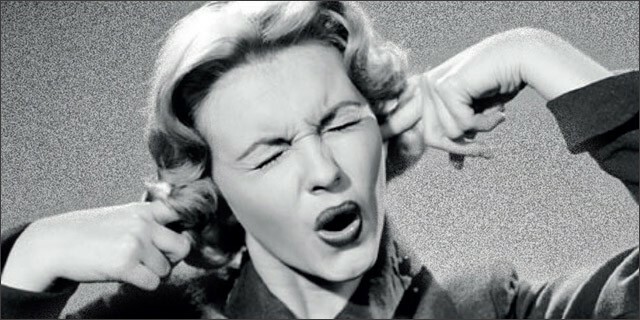 There is currently too much noise with ICOs. This creates a flood of options that removes value from every option. When everyone wants to do the same thing, it hurts everyone. In addition to the noise, it becomes difficult to differentiate between projects. Where ICOs once had interesting perspectives on problems that can be solved with blockchains, it will eventually turn into blatant copies of existing solutions. Hundreds of coins will essentially be marketing small variations of the same technology. This will result in brand confusion. Essentially, people will be investing in off brands of prominent coins. People will lose interest. These interesting projects that will change the world will begin to reveal themselves as nothing more than absolutely useless. They won’t solve any real problem and they will be so complicated and cumbersome to use that they will provide no value. We will begin to see the same thing over and over again. The market will become saturated with clones that barely do anything different and people will just get tired of seeing the same thing. These new clones will provide little excitement for the user. The entire industry will become so fragmented, most coins will be useless because there is simply no easy way to fit them into the market with all of the other similar coins. As time goes on, the established coins will continue to gain footing in the market. Racing forward in their development, the most successful coins will overtake the majority of the market share. This results in the new entrants into the market needing to quickly catch up to these established juggernauts. It will be like a startup trying to create a search engine to challenge Google… It simply won’t happen. Most of the real talent will be concentrated into a few top companies, while the amateurs will be spread throughout the other miscellaneous companies. ICOs will struggle to catch up to or keep pace with the larger established coins. As the more and more clones come out, they won’t be able to keep pace with the large coins that have been around for years. This means the new ICOs won’t get traction quickly and will likely die. This feeds back into the increasing number of failed ICOs in the coming years. In the end, it’s not all bad news. The best part of ICOs dying is that there will be something ready to take it’s place. I’m betting the new fundraising process will be more robust, trustworthy, and solve many of the problems that are present in ICOs today. This list isn’t something to fear, it’s something to welcome. ICOs are flawed and should be treated like the mess they truly have become. We need a system that provides trust. We need a system that provides a series of funding or revenue streams. We need ways for investors to invest in both the token and company. We need better corporate structures to allow blockchain to equate to equity. There is a lot to explore in the crypto space, but it will be a painful process during this discovery stage. You will be scammed, taken advantage of, and lose hope. In the end, there will be better ways to fund these projects. I don’t know what it is yet. It might look like an ICO, but it might not. Whatever it is, you can be sure it will improve the process for funding these projects. I believe Fort Minor said it best. ICOs are ten percent luck; Twenty percent lying about advisers; Fifteen percent pretending you have a prototype; Five percent copying someone else’s white paper; Fifty percent spending millions on marketing; And a hundred percent shilling. If you came from the future and told me 5 years from now ICOs will still function as they do now and are popular, I wouldn’t believe you. The next 5 years will begin a revelation that the ICO experiment was a primitive time in the cryptocurrency market. It was the wild west of blockchain technologies. While there were a few successes, it’s still too early to tell if any of these will be long term movers in the market.